Listen and learn at a series of free cybertours and information sessions for all Internet Librarian 2010 Exhibit Hall visitors. Taking place at the CyberCorner in the Exhibit Hall, these cybertours cover a range of topics and subject areas. They are open to all and add value to your visit. Space is limited, so it’s first-come, first served. Join our Net-savvy web experts for a look at their favorite sites and topics! There is no need to register; simply pick the cybertour of interest to you and arrive at our CyberCorner in the Exhibit Hall at the appropriate time. QR codes are little images containing information that transmit the contained information when a person snaps the image with their cell phone. QR codes can contain all kinds of information, from contact information and VCards of librarians to links to websites, tutorials, pages with chat widgets and more. 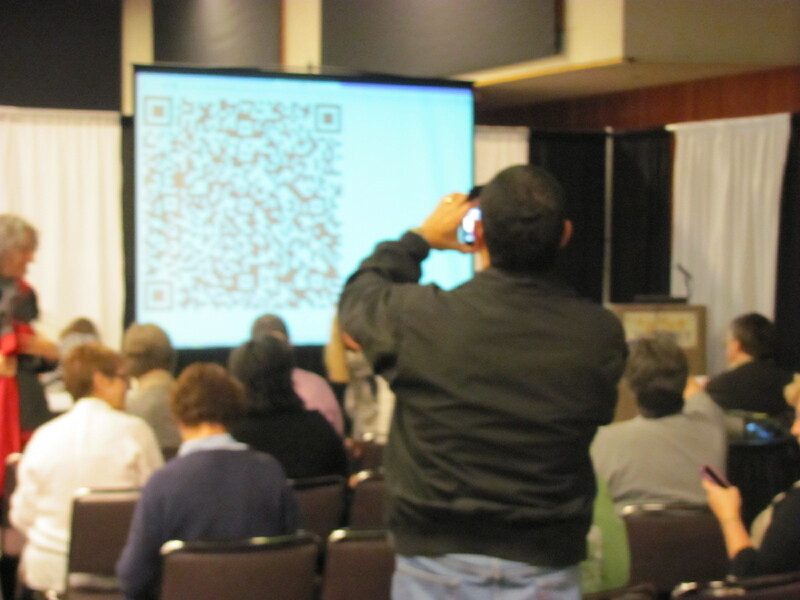 This cybertour explores different options for creating and using QR codes, and potential uses in libraries. Adding value to the information you find doesn’t have to add hours to a project. Learn 5 quick tips for enhancing your value that you can put to use right away—even when you’re pressed for time. This cybertour discusses gaming programs that will help you engage your community and that you can put together in your library for very little money. 12:30 PM – 12:45 PM – Mary Ellen Bates, Principal, Bates Information Services, Inc.
As libraries continue to push resources online and library users visit online, reference services continue to move online as well. New and old software options, ranging from free to fee, can help offer online, interactive reference services via chat, instant messaging, text messaging (SMS), and more. Explore these communication channels and hear our expert’s evaluation of real-life implementation issues. There are many ongoing and successful efforts inside and outside of government to make government information available on the Internet, free to all. Advocates for open government, as well as the disseminators and users of government information, have encouraged the release of caselaw, statutes, public records, publications and other data held by federal, state and local governments. Learn what information is out there, how it’s being used, and how you and your users can access it and contribute to Gov 2.0. So exactly what does it mean to move data and services to the “cloud”? This cybertour discusses the concept, the advantages of cloud computing where your documents and data live on the internet, how you can utilize web services in the cloud, and what libraries are currently doing in the cloud. Shrinking training and travel budgets, and limited staff time make training difficult to accomplish. 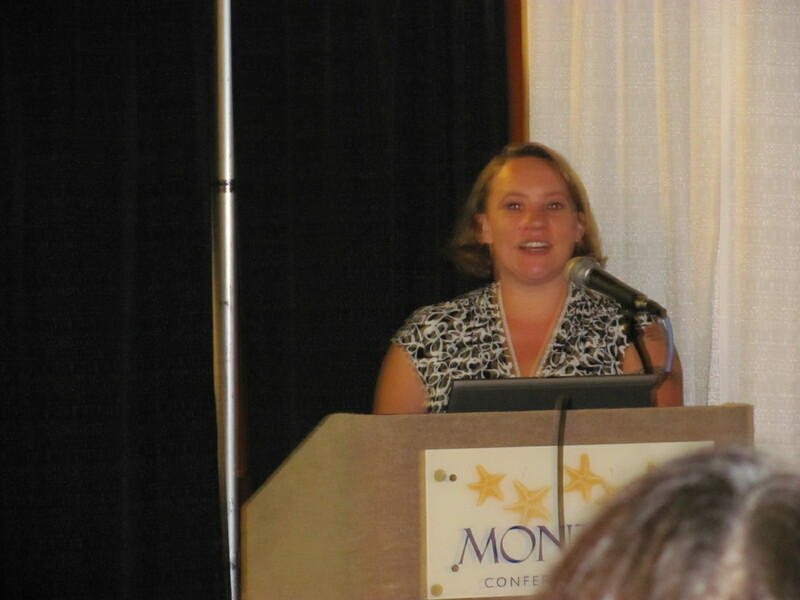 This cybertour describes how librarians throughout the state participated in training when it was convenient for them without requiring travel or registration fees. Based on the 23 Things model and created on a shoestring, this initiative utilized vendor training materials as well as materials already created by the electronic resources coordinators. It increased the knowledge of participants, allowed them to explore and improve their confidence. Includes tips, suggestions, and lessons learned. Google tests lots of things and shares those through Google Labs. Have you checked its site lately? Hear about some of the new Google features that may be very useful to you in your information environment. Using results form a recent web survey of 100 academic library websites for digital instruction presence, Donahue demonstrates a set of interactive, animated templates he created for a comprehensive library research skills tutorial. Besides the unique design, a compelling aspect of these templates is how he is using the web to orchestrate a complex team effort towards content development. He shares tips and tricks! 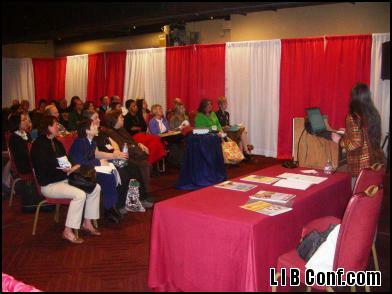 The free Cybertours in the exhibit hall attracted a standing room only crowd during breaks in the program. 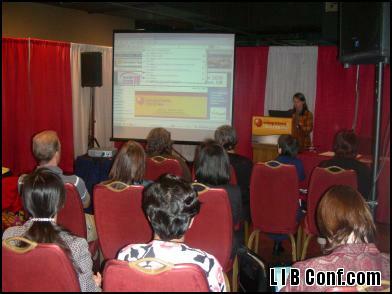 Hundreds of librarians, info pros, and ‘net savvy specialists will soon be heading to Monterey for the 13th annual Internet Librarian conference. The buzz has already begun with our twitter stream (the tag is #IL2009), the new conference wiki, and several wonderful videos. Last year Sean Robinson started filming in his IL2008 session and produced this video. Recently the Shanachies produced this video. AND, speakers David Lee King and Michael Porter will be unveiling a new video at the conference next month. Exciting. New LibraryCamp Monterey at the Monterey Public Library, Saturday Oct 24th, 9:30-12:30. Saturday & Sunday Workshops: The popular Searchers Academy and Web Managers Academy — full day content-refreshed workshops along with new workshops on how to understand client’s preferences and behaviors through focus groups, screencasting, getting the most for your library with Twitter or Storytelling (yes those are two different workshops), practical cloud computing, and more. Popular Sunday evening networking at the Gaming & Gadgets Petting Zoo with lots of gamers and gadget lovers sharing, playing, learning and having fun! Join hosts Aaron Schmidt, Jenny Levine & Erik Boekesteijn and network with old friends and new acquaintances. Terrific sessions around themes: Information discovery & search, Social media & leveraging Web 2.0, Learning, Digital library practices, Web presence & experience, Mobile trends & practices, Digital services, Tough times tactics & tools, Content management, Cultivating innovation & change, Digital culture. Our experienced speakers share so much practical information that you will be able to apply in your environment as soon as you return from the conference. Fun Tuesday evening event — Rockin’ Battle Decks: Dealing with Digital Now & Beyond. Enjoy presentations by experienced speakers who have never seen the slide deck they are speaking about until they take the platform. Hear some terrific music, including the famous “23 Things” song from Richard Geiger & Tim De Wolf. Listen to the judges response to the Battle Decks’ presenters and find out who they think is the top performer. Networking informal dine-arounds with colleagues. Cybertours in the exhibit hall where many library suppliers happily share their products and services. Wonderful views of the Pacific Ocean, Monterey Bay, and the unique flora, fauna, animals and birds as well as walking trails, outdoor activities (kayaking, whale watching), and retail therapy!